All Nordhavn yachts for sale worldwide are listed below, scroll down to view them. 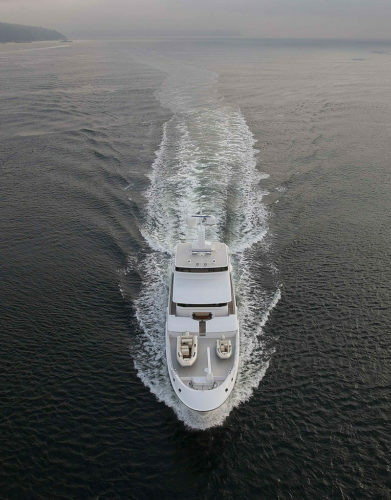 “Power that is oceans apart”, is the slogan for Nordhavn (PAE-Pacific Asian Enterprises) Yachts. These seaworthy trawler-styled motor vessels have earned Nordhavn yachts the reputation as a leader in the trawler industry. Nordhavn is the trade name of a line of motor vessels designed and produced by Pacific Asian Enterprises, Inc. of Dana Point, California. The vessels (including a motor sailer and an Expedition Yacht Fisher) range from 40feet / 12meters to 120 feet /37 meters, and are renowned for their structural strength and ability to cross oceans. In 1974, three friends, experienced seamen with thousands of offshore sailing miles, Jim Leishman, Dan Streech and Joe Meglen formed a small yacht brokerage in Dana Point, California. 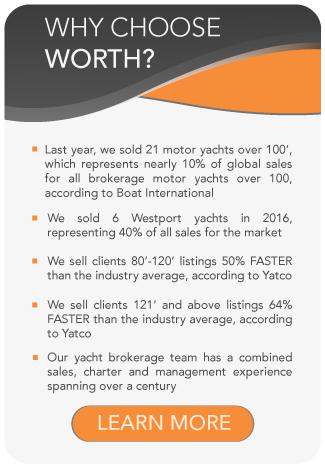 They started with general yacht brokerage and the importation of CT and Transpac boats from Taiwan. During the years of 1978 to 1985, they partnered with the naval architect Al Mason and Ta Shing Yacht Building in Taiwan to build their first line of sailboats, totaling to 132 sailboats produced and still in service today. By 1988, Jeff Leishman (Jim Leishman’s younger brother) designed their first 46foot / 14meter power boat. This unique powerboat project was considered odd, funny and different and it was referred to as PAE’s “tugboat”, by the world’s yachting industry. Ta Shing Yacht Building even declined to build it. This led to their next partnership with Tsai Wan Sheu, owner of the newly formed South Coast Marine in Taipei, Taiwan, who took on their project. In 1989, Hull #1 of the N46 was completed and because its style and look was reminiscent of North Sea fishing trawlers, the name Nordhavn (Norwegian for North Harbor) was chosen for this new design. In 1998, PAE selected Pacific Seacraft (PSC), a Southern California sailboat manufacturer, to build its newest design, the Nordhavn 40 and over the next four years, forty-four N40’s were built. N40 sales continued to flourish, but in 2004, the N40 molds were shipped from California to the new South Coast Marine factory in Xiamen, China where production continued. In 2004 they completed two new designs, the N55 and the N64. Building on the proven concept and style of the N47, these two new designs were an instant hit. The N55 was built by the SCM Xiamen China factory and over fifty N55’s have been delivered. The N64 was built by Ta Shing and twenty boats have been delivered to date. 2006 saw the introduction of two new design projects, the motor sailer MS56 and the expedition sportfisher EYF75. The mammoth new factory in Xiamen, China, completed the first super yacht N120 project in 2008. 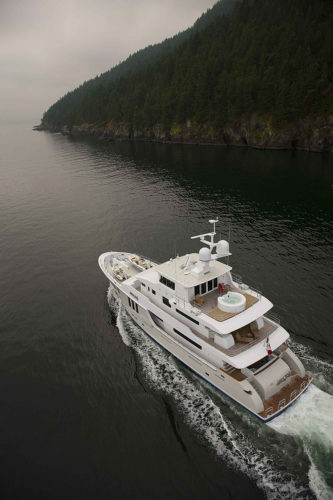 In 2013, the company celebrated the delivery of its 500th Nordhavn yacht. 40foot /12meter ‘stock’ Nordhavn made history as the smallest production powered vessel to circumnavigate the world. In 2004, a group of 15 Nordhavns crossed the Atlantic in the company-sponsored Nordhavn Atlantic Rally. This marked the first fleet-based Atlantic crossing by a group of motor vessels, and its success further boosted the company’s stature. Many Nordhavn voyages were read about the world over as more thrilling, more extreme journeys were undertaken: Scott and Mary Flanders and their world-wide adventures outlined in their Voyage of Egret blog; the Great Siberian Sushi Run (GSSR) by Ken and Roberta Williams; Steve and Carol Argosy, and Braun and Tina Jones captivated a global audience who followed them across the Bering Strait; and Sprague Theobold, the Nordhavn 57 owner whose exploration of the Northwest Passage garnered him national and international news coverage including a television documentary. The owner of a Nordhavn 56 Motorsailer will attempt to become the first person ever to single-hand a Nordhavn across an ocean. Thierry Vestrade departed Newport, RI June 30, 2016, embarking on a solo mission to bring his boat Deo Juvante across the Atlantic to Europe. Nordhavn now boasts the most circumnavigations of any other company and its customers continue to break cruising records all over the world.